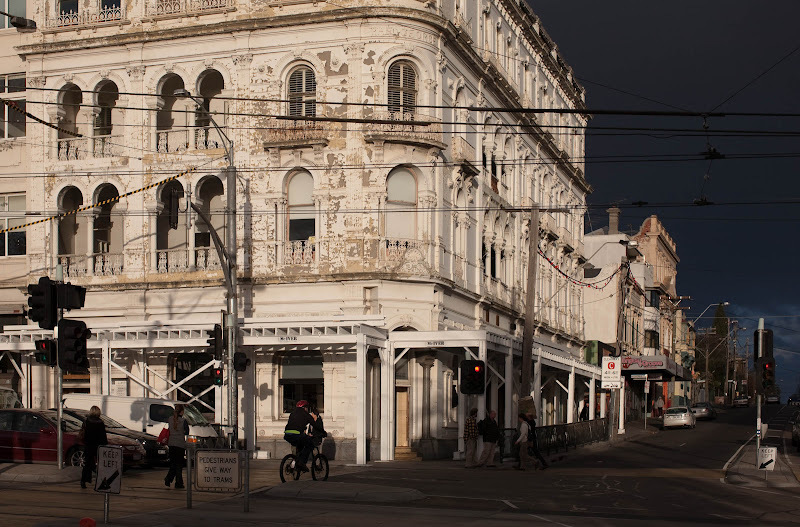 St Kilda Today: Is the George about to be repainted? As a local seeing it from Canterbury Road everyday I would love to see it painted outrageously. Neon pastels. Just my opinion. I'm sure they'll just make it plain white. I'll love it either way.